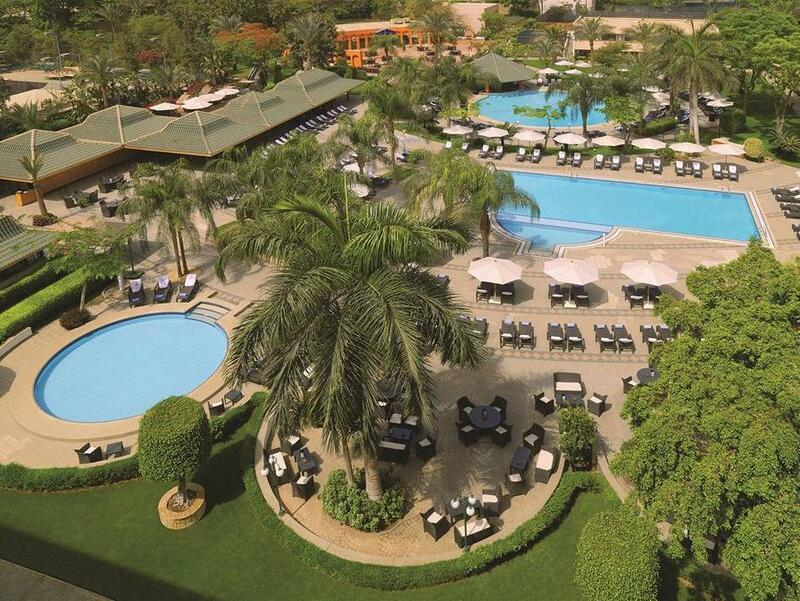 ﻿ Fairmont Heliopolis (Hilton Cairo Heliopolis) Kaherah. JIMAT di Agoda.com! Ada soalan mengenai Fairmont Heliopolis (Hilton Cairo Heliopolis)? Dengan lokasi mudah di Kaherah, Fairmont Heliopolis adalah tempat yang hebat untuk menjelajahi bandar yang menarik ini. Hanya 10.0 km dari pusat bandar, lokasi strategik hotel memastikan tetamu boleh ke mana-mana sahaja dengan cepat dan mudah ke tempat-tempat tarikan. Untuk pilihan bersiar-siar dan tempat daya tarikan tempatan, pelancong tidak perlu pergi jauh dari hotel kerana semuanya berdekatan dengan Sally Gallery, Sameh Gallery, Gallery Ghazal. Pendek kata, semua perkhidmatan dan kemudahan yang anda harapkan daripada Fairmont Raffles Hotels International adalah tepat bagi keselesaan seperti berada di rumah anda sendiri. Hotel ini menawarkan pelbagai kemudahan di lokasi untuk memuaskan hati tetamu termasuk yang arif. Tetamu boleh memilih dari 588 bilik, semuanya yang akan memberikan suasana ketenangan dan keharmonian. Kemudahan rekreasi hotel, yang termasuk seperti tab panas, pusat kecergasan, sauna, kolam renang terbuka, spa direka untuk anda melarikan diri dari masalah dan bersantai. Nikmati perkhidmatan yang sukar ditandingi dan lokasi benar-benar berprestij di Fairmont Heliopolis. dont need to say much as this is my second time staying here. however, this time i have a bit of arguement with the hotel reception as they were not giving me free wifi in my room which they gave it during my first stay. please update in hotel facilities list as free wifi can be a consideration point in choosing which hotel to stay. The shower flooded instantly, but they fixed it. I'm still surprised the cleaning people weren't aware of it. Can schedule airport shuttle in advance or wait for it at the airport. There is a Kiosk at the airport. Lots of restaurant options- foods from different parts of the world. Egyptian restaurant outside with live music--order the grilled pigeon- not the stuffed. Free shoe shining though its really just wiping it clean. 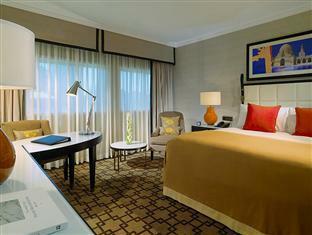 Perfect for one night, but too far from city, pyramids, and NOT walking distance to downtown heliopolis. Great airport hotel. Huge Hair salon inside too. 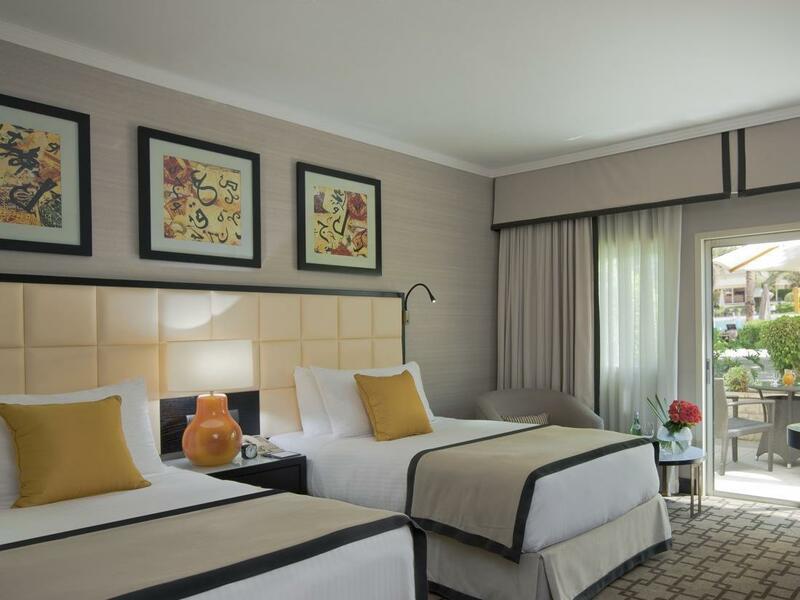 This hotel is conveniently located next to the airport with a free shuttle bus there so it is great for late-night or early-morning flights so that you don't need to take into account Cairo traffic. However it is quite noisy with the planes flying in and out. 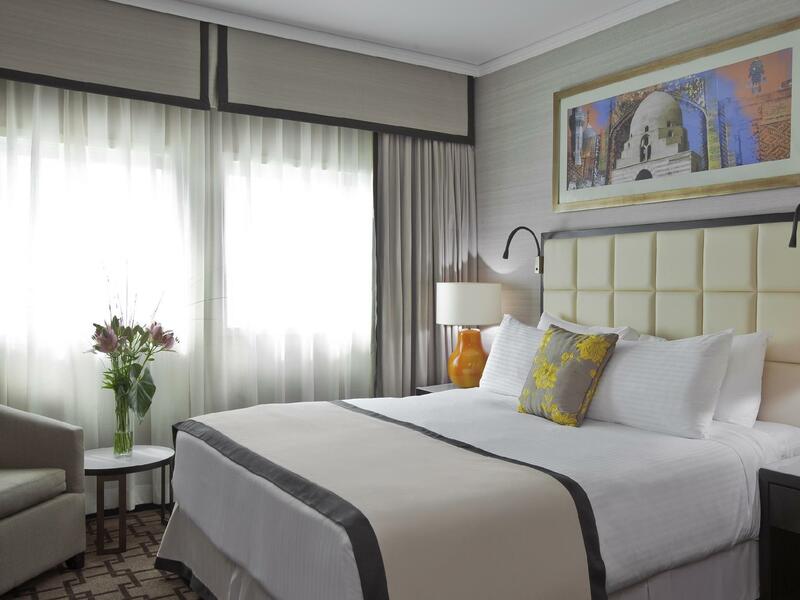 The staff was very friendly and the room was modern and clean. Great location for Business Travel. 10 mins from Airport. Good facilities. Good service. The location is great for a business traveller. 10 mins. from Airport. There is a free shutle. They have a "meet & greet" option . WHere Hotel sends a car for you and the driver meets you inside the Arrival hall. Very reasonable rates. Rooms are very comfortable. No shopping ot mall nearby/within walking distance. Peaceful & quiet location. Unlike most of Cairo. 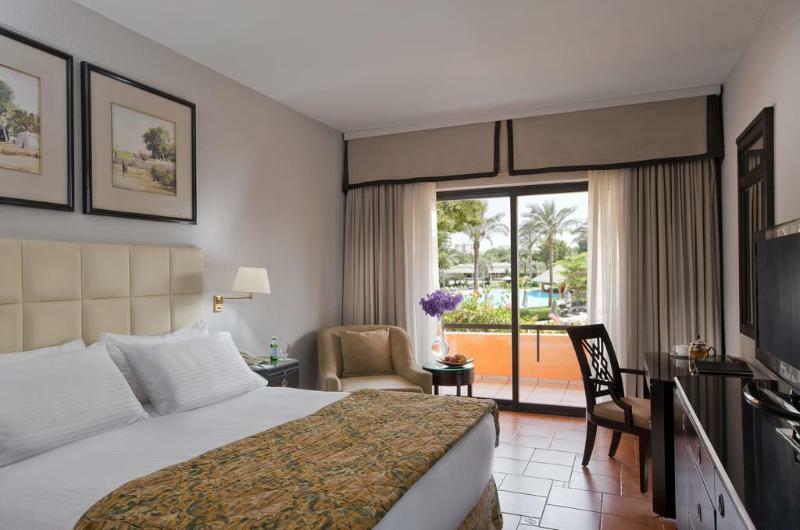 This hotel is close by the airport in Cairo so if you need a quick crash after arriving in the middle of the night then the helio polis Cairo is the place for you. The bar downstairs is quite good and serves nice Meze. Everything was very clean and the staff friendly.